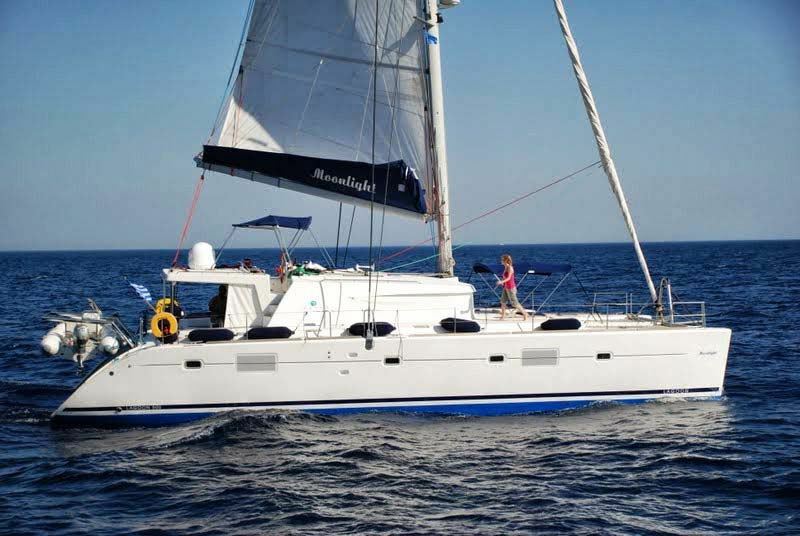 Built in 2009, sailing catamaran MOONLIGHT was launched by the French shipyard Lagoon. 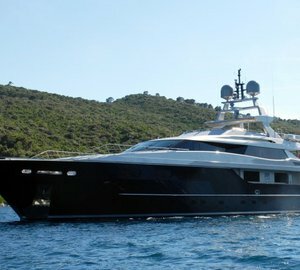 Measuring 15.5m (51ft), S/Y MOONLIGHT is available for yacht charters in the idyllic East Mediterranean, offering luxury crewed yacht charters for up to 10 guests. 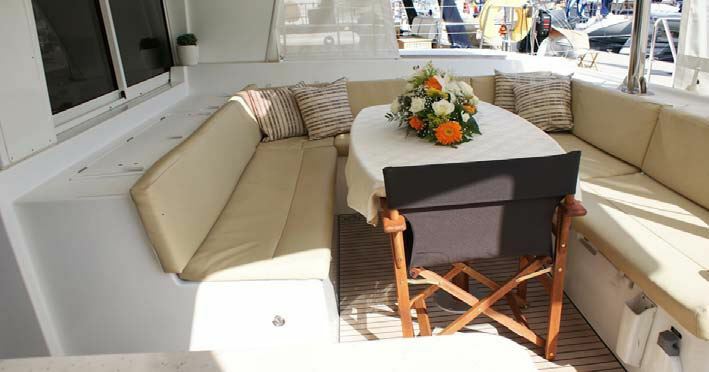 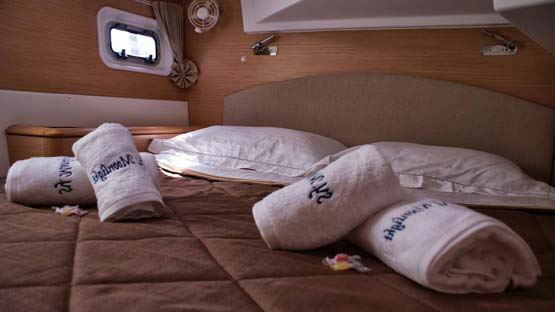 Crewed charter cat MOONLIGHT can accommodate up to 10 guests in 5 cabins. 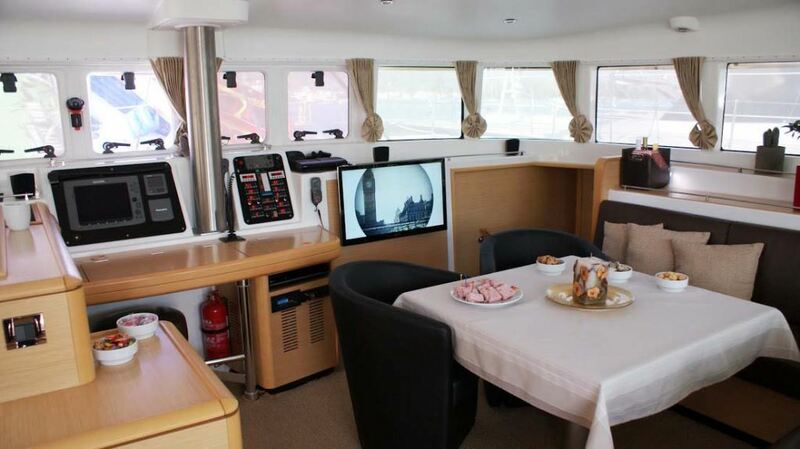 On the port side are 2 double cabins, fore and aft. 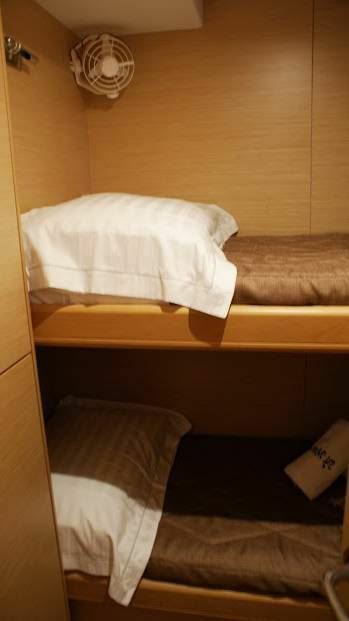 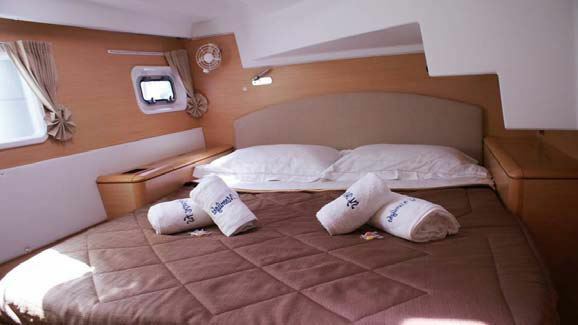 On the starboard side are a further mirror image double cabins and a central cabin, offering upper and lower bunk beds. 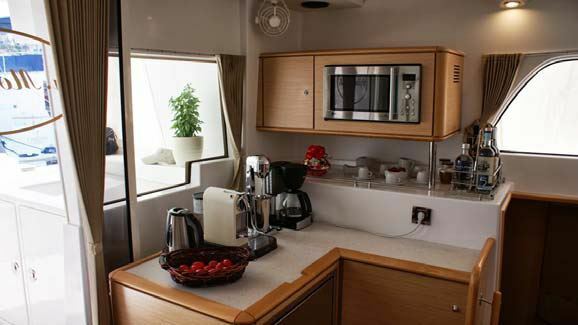 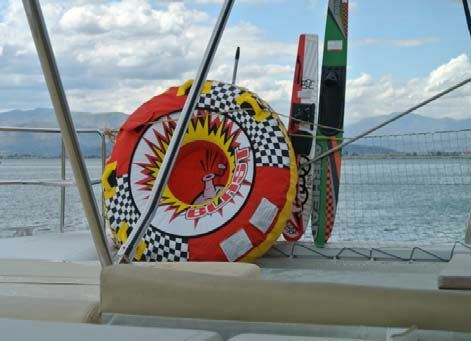 All 5 cabins are fully air conditioned and feature private en-suite facilities. 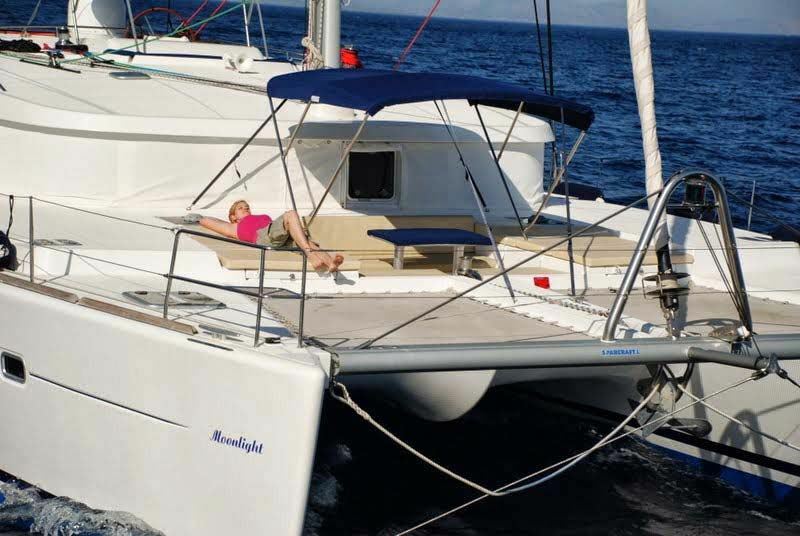 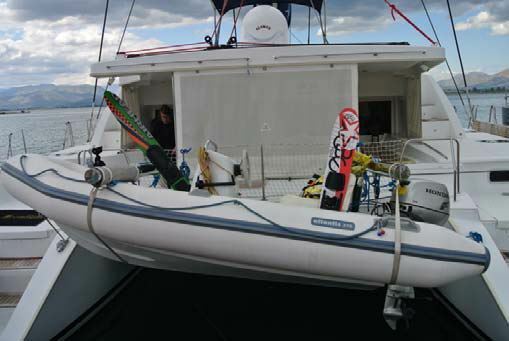 The MOONLIGHT catamaran has a Tender with 20hp engine, Towable toys, Kayak, Snorkel gear, Fishing gear, Beach games, BBQ, Water maker, Ice maker, SAT TV, DVD library, IPod connection, Wi-Fi, Hairdryers.